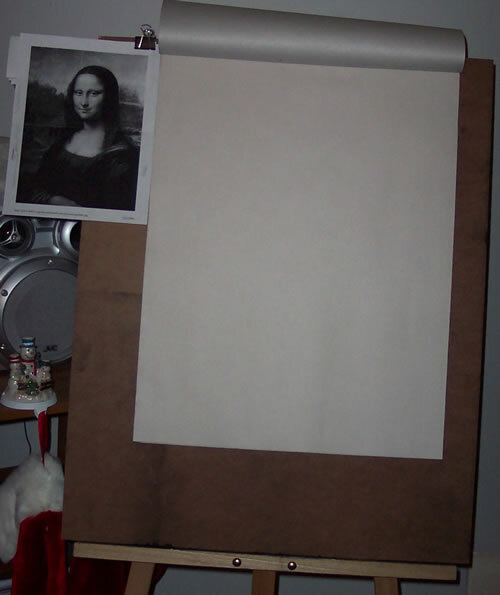 The most expensive and the most famous poplar piece of wood in the history of our civilazation: Leonardo Da Vinci's Mona Lisa. 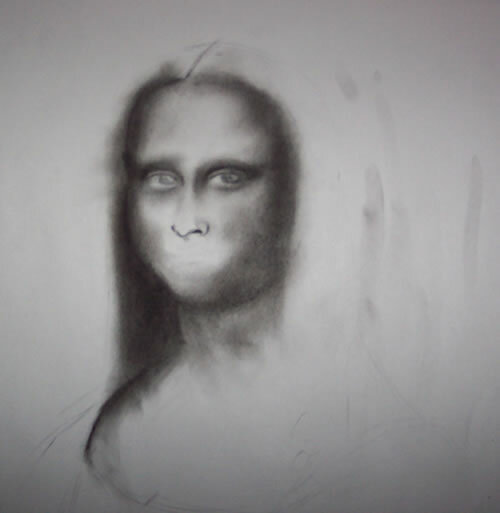 There is already too much said and written about the Mona Lisa. 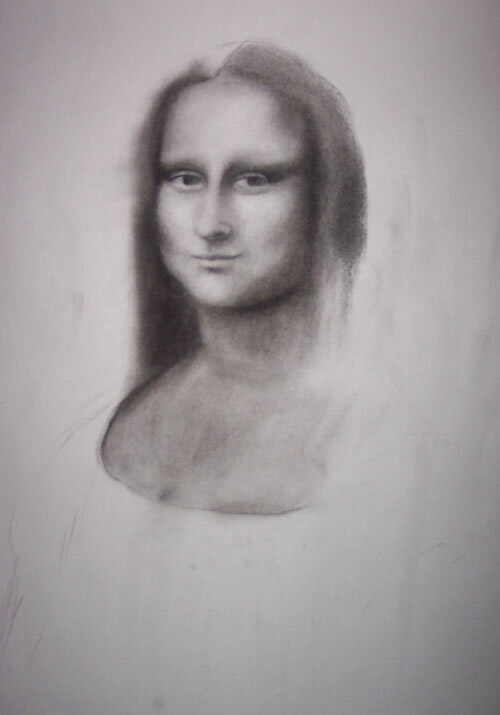 All I will say is that the "smile" is very hard draw, as it is not really a smile: it's the shadow cast from the sitter's lips, and it appears to be different from different angles because it is a visual illusion--if you look at it directly, it is gone; if you let your peripheral vision see it, you catch a glimpse of the mystic smile that inspired many artists and inspired my drawing. 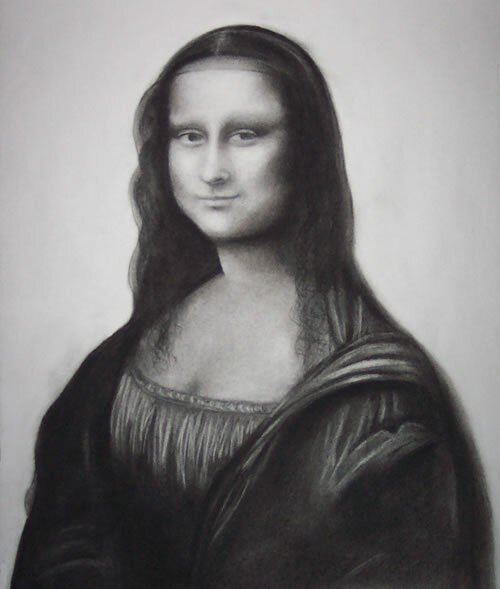 If you look closer at my drawing, you'll notice that it has a certain resemblance to the Mona Lisa; however, it is not an exact rendition of her. This is due to the lack of drawing skills on my part. 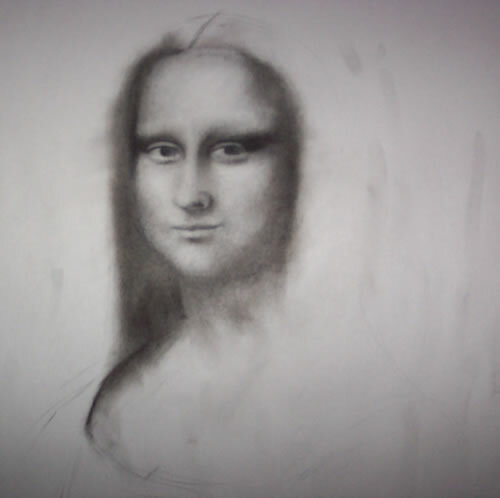 I wanted to see the progress of the drawing throughout the process. Perhaps there is something to be learnt. 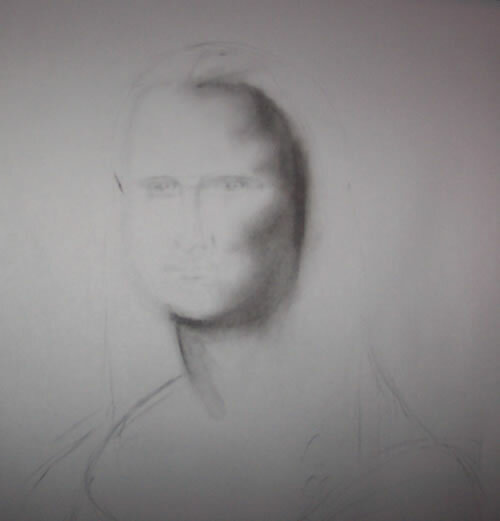 At this point, I already had enough of the face and I had to tackle the hair. If you noticed the previous drawings, they had no hair. I was putting it off until last, because I don't know how to draw hair. Since my drawing is an approximation of the original, I started thinking about pi - For some purposes 3 is good enough of an approximation. For others, 3.1415 is good enough. If you allow me an analogy, I think of my drawing is more of 3, rather than the true value of pi, which doesn't have a specific real number. 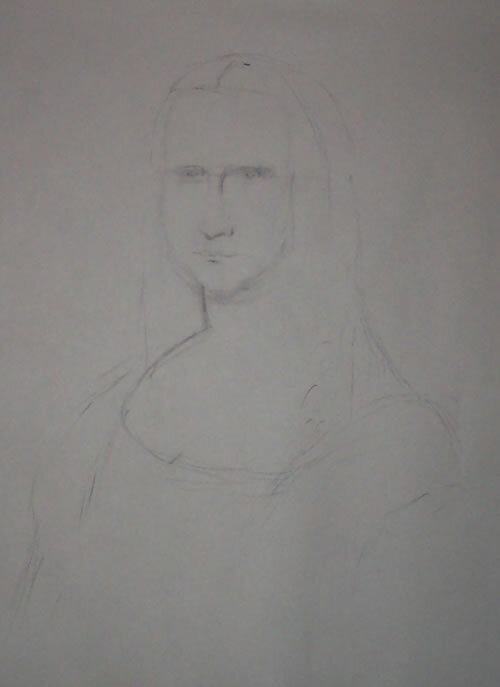 So, the Mona Lisa, in my mind, is like pi: irrational and forever infinite. I think this analogy would work, even for a very talented artist. 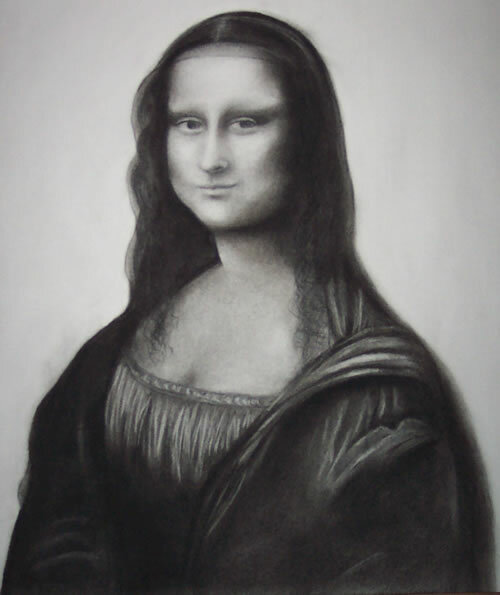 I.e., The more his or her drawing/painting resembles the the original painting, the more digits pi would have. Would Lionardo pay so much attention to a painting of a shopkeeper's mistress during the last years of his life? This sounds absurd, both from human and physcological aspects. I have never heard this argument before, and it sounds quite logical to me. However, I'm always up for a good conspiracy theory, and this doesn't sound too irrational.